On 3rd July 2015 the Rover Crew headed off to the Hawequas Scout Ranch for a weekend of teambuilding epicness. 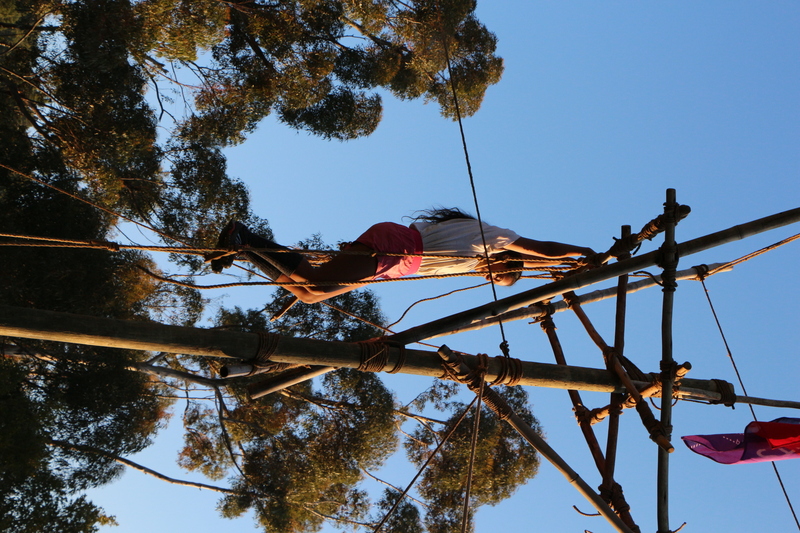 We invited a few senior scouts from 1st Bothasig and 1st Pinelands Scout Troops to see what Rovering is all about and hopefully inspire them to continue the movement into their early adulthood. The Friday evening was spent setting up camp in the forest, and once dinner was eaten, we had some ice breakers which Shanet organised in the form of some games where we shuffled into different teams. Our ultra-competitive nature resulted in us loosing track of who won, but what is certain is that we all had plenty laughs throughout the night! 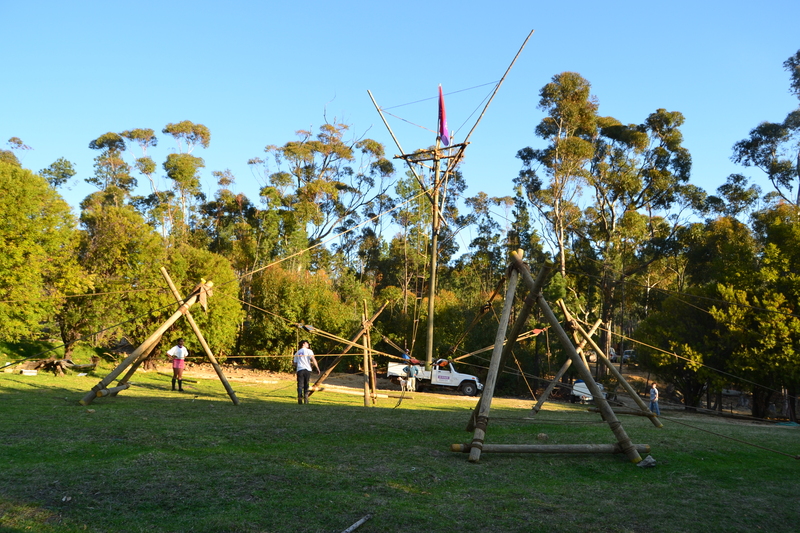 Saturday morning greeted us with perfect pioneering weather – time to erect our tower! After breakfast, we planned out what was to be done, and diligently set off to work. Our task was to build a Skylon tower using the novel design of a Skylon flag pole, but on a much larger scale. 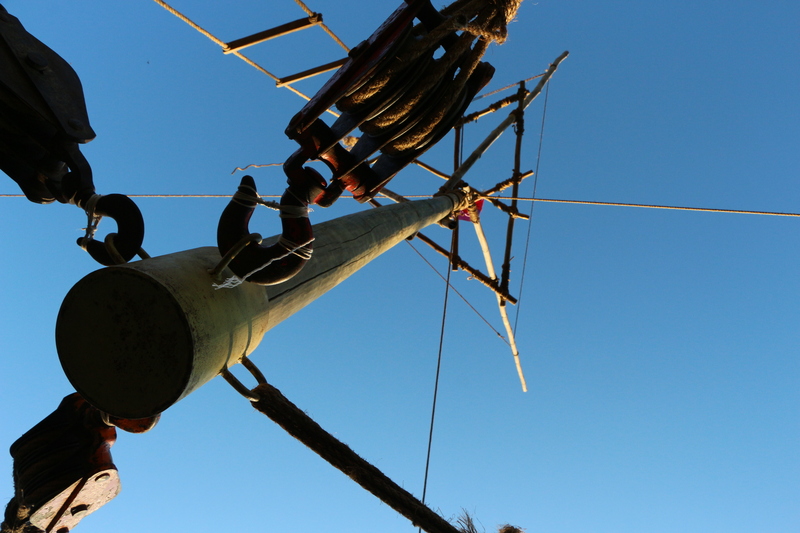 Everyone worked well together to construct the tower which most of the team had never before constructed or even seen before. After revelling in the completion of the project at the end of the day, we made dinner and soon after, went to sleep. Everyone put a lot of work into the project and was too tired for more games in the evening. On the Sunday, we took it at an easy pace to take the Skylon tower down, pack away all the equipment, and strike camp. We left Hawequas around 13:00 and headed back to Cape Town. I know the Rovers had fun, and hope the Scouts gained some enthusiasm about Rovering for their the future.